Whether you are a small business or a large corporation it’s important to reduce expenses and protect your bottom line. Intellifilm can help by installing window film on your office. 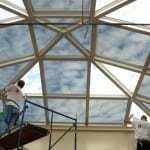 You will see significant savings on energy costs, maintain a more comfortable and productive environment, reduce interior fading and improve exterior appearance. 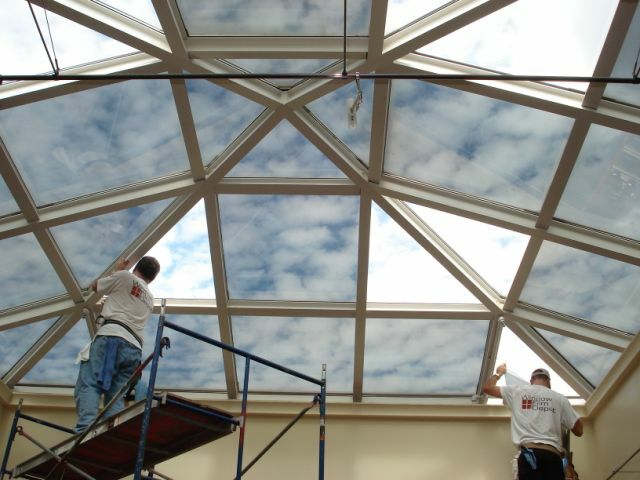 Once it is installed, the benefits keep coming year after year with durable, long-lasting window films. Yep, your heating and cooling costs will be lower! Our window film can keep out as much as 80% of the sun’s heat and during the winter the same film will help retain interior heat, reducing heating costs. The return on investment is huge! Whether you are trying to reduce heating and cooling costs, protect inventory, or just give your building that new look, Intellifilm can make it happen. Let us give you a free window tinting estimate. Tinting the windows on your business is a simple procedure that may be one of the most important things you can do. Reduce glare = happy employees! 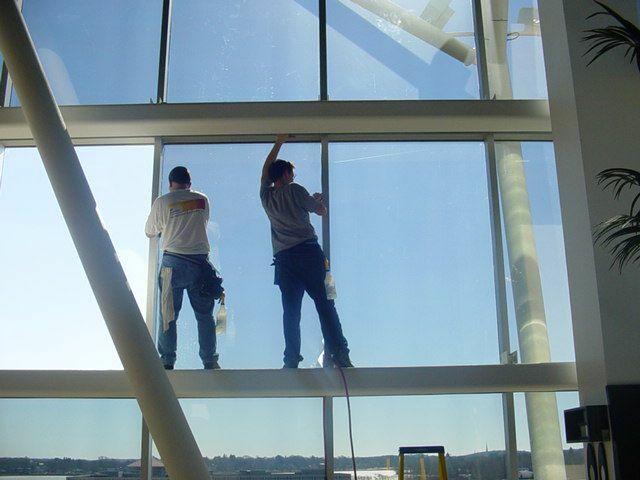 Window films allows you to bring light that enters your building under control. Our extensive line of films provides an elegant means for solving many of the most challenging aspects of managing the energy use of a building. 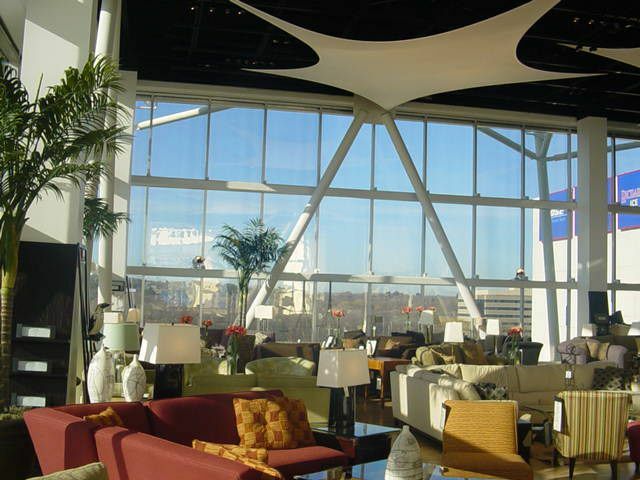 Safety and security window film keep the potential for forced entry and weather damage in check and our extensive line of decorative films allow interior designers and architects to offer an affordable way to bring in style and privacy. 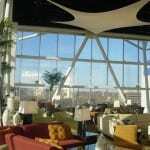 Our anti-graffiti window films allow property owners and manager to eliminate the expensive cost of glass replacement. Finally, the sun the way you want. 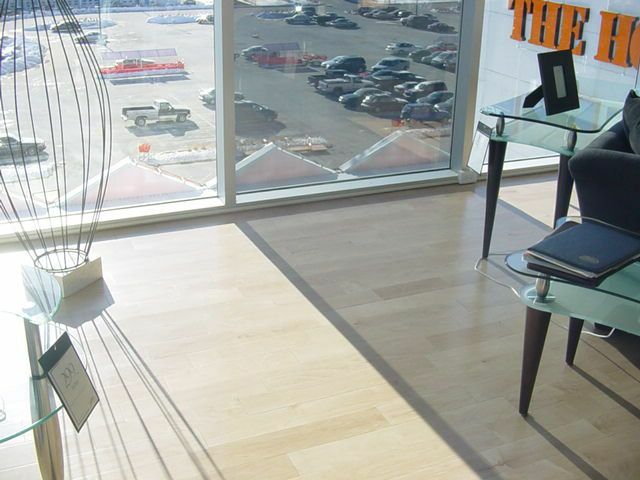 A commercial window tint can eliminate glare, fading and drastically lower your energy bills. Window film can enhance the strength of glass allowing your family to remain safe incase of break-ins, accidents, or natural disasters. With are decorative window films you can add style to any decor or add privacy to senstive areas.